Alistair Shaw graduated from the University of California – Berkeley in 2014 with a Bachelor of Arts degree in Political Science. During his time in Berkeley, Mr. Shaw oversaw a youth mentorship program that paired university students with local middle-school children to help guide them through their transition into high school. Mr. Shaw received his Juris Doctorate degree from the University of California – Davis in 2017. Mr. Shaw interned for the Honorable Thadd A. Blizzard in the Sacramento Superior Court. He then dedicated one year advocating for indigent survivors of domestic violence through the UC Davis Family Protection and Legal Assistance Clinic. Mr. Shaw also spent time working for the California Office of the Attorney General, where he wrote criminal appellate briefs on behalf of the State of California. For his commitment to working for the public interest during law school, Mr. Shaw received recognition as a nominee for the Martin Luther King Jr. Service Award. Mr. Shaw was actively involved in his law school community and served as President of the Law Students’ Association. In this role, Mr. Shaw represented all professional schools at UC Davis in discussions regarding the hiring of a new chancellor with University of California President Janet Napolitano and the other Regents of the University of California. Mr. Shaw also oversaw the addition of new mental health services in the law school. 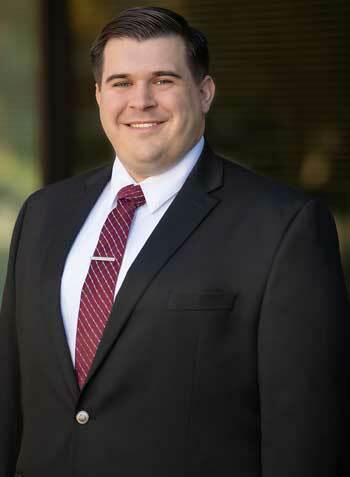 After law school, Mr. Shaw worked at a family law firm in Walnut Creek as a law clerk and associate attorney upon passing the California Bar Exam in 2017. While working in Walnut Creek, Mr. Shaw gained invaluable courtroom experience through appearances in Alameda, Contra Costa, and Solano counties. Mr. Shaw is a first-generation immigrant, having moved from England to the United States with his family in 1997. He grew up in the Central Valley in Tracy, California. In his spare time, Mr. Shaw enjoys visiting craft breweries, watching Cal football and basketball games, and spending time with his pet Corgi (“Joey”).